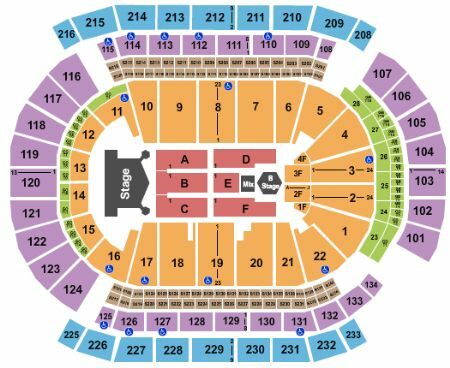 Kiss Newark Tickets - 8/14/2019 - Prudential Center at Stub.com! First row in this section. These seats are on the aisle with purchase of the entire group. Does not include admission into the event. Parking Pass only. Seventh row in this section. Platinum Club access. Includes complimentary food, Private VIP entrance, exclusive cocktail lounge and private restrooms. Deluxe Hotel Package includes: Two night stay at a four star hotel near the venue (check-in day before event, check-out day after event) | Premium reserved floor ticket in first fifteen rows of stage (orders of three or more may be split) | Roundtrip airport transfers | Private pre-show hospitality featuring food and drinks | Specially designed tour merchandise | Detailed itinerary | Additional hotel nights or specific days may be obtainable upon request | Rate is based on double occupancy | Orders for a quantity of one are subject to an additional charge |.